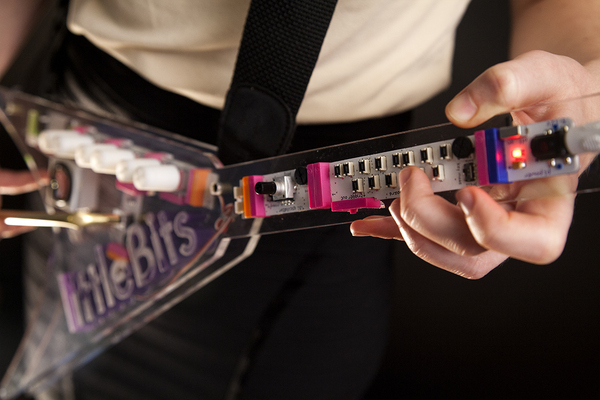 littleBits Projects: Shoes « Adafruit Industries – Makers, hackers, artists, designers and engineers! 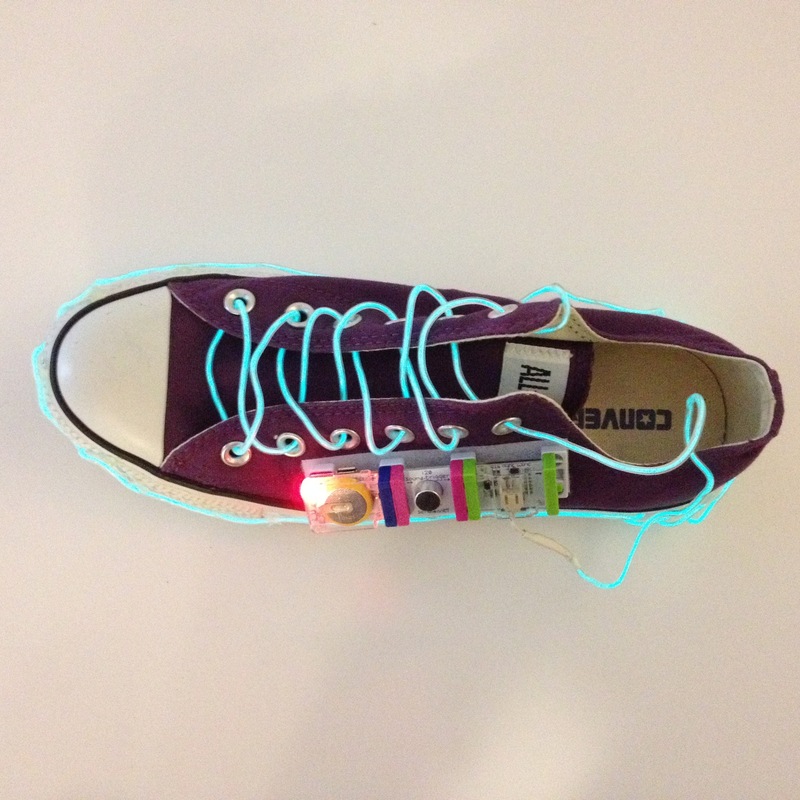 Send your littleBits circuits out into the world wearing SHOES! Now you can hold your circuits together and place them on any surface. Try magnet shoes on your refrigerator, hook & loop shoes on your dog’s collar, or adhesive shoes for more permanent installations. Check out the projects below for inspiration and be sure to visit our Shoes Tips & Tricks Page for more ideas. 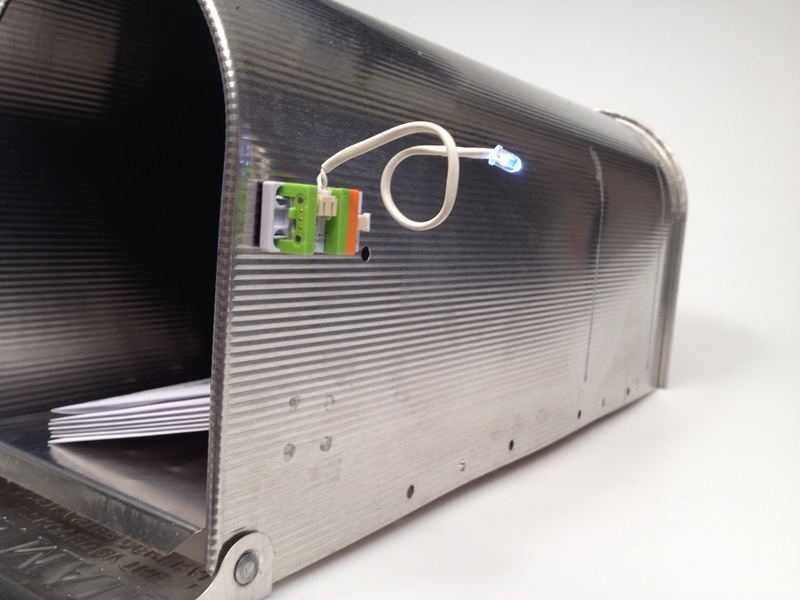 Make a mailbox indicator light. This circuit sits directly on your metal mailbox (due to magnet shoes) and signifies when mail is placed inside. When letters are placed on top of the roller switch, the long LED on the exterior of the box shines bright. Out with the flag and in with the long LED! 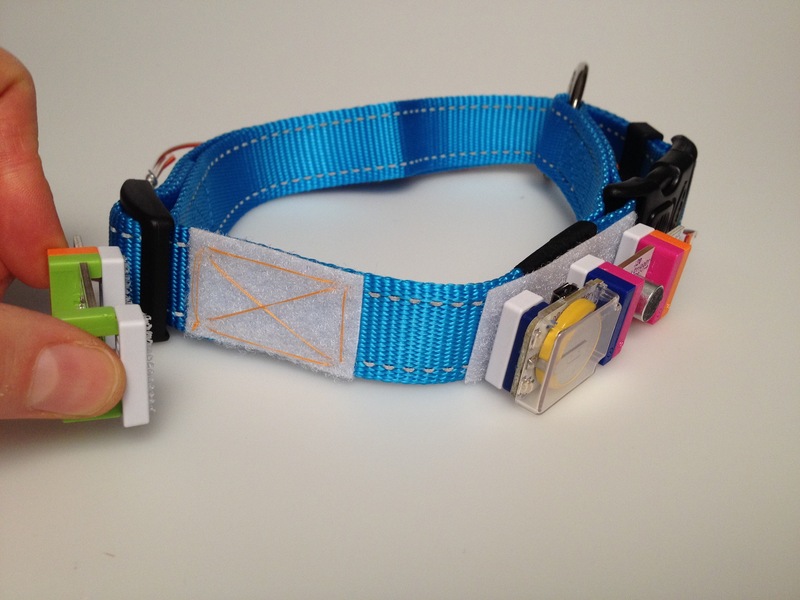 littleBits circuit: power + roller switch + wire + bright LED. 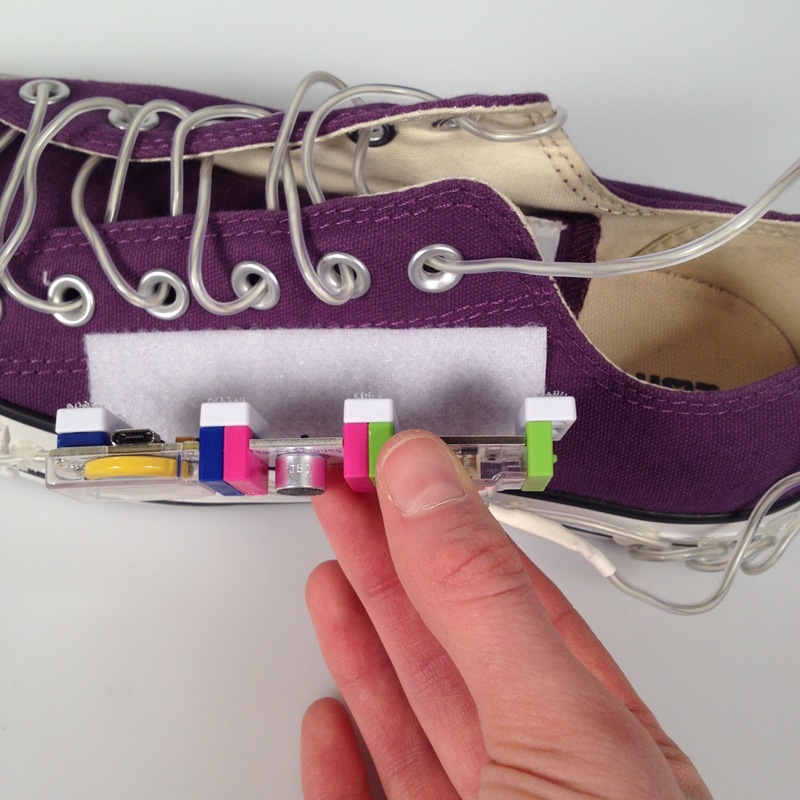 Shoes on shoes — secure your circuit to a pair of sneakers to make these Stomping Shoes. 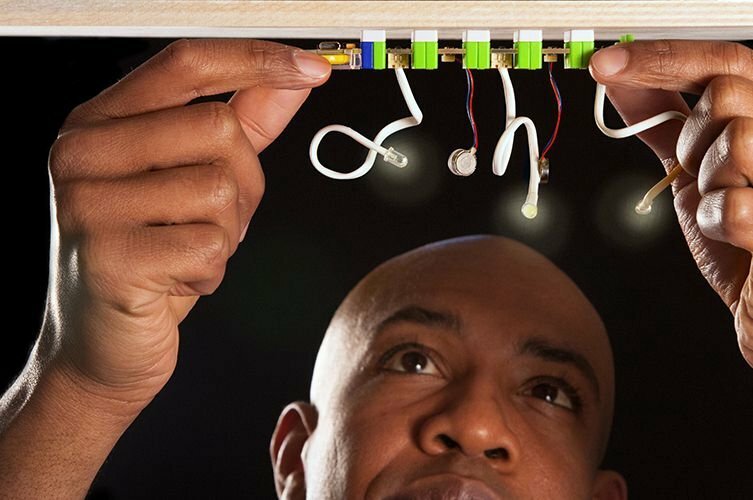 The light wire lights up whenever you stomp down due to a sound trigger. All you need to do is stick an adhesive velcro adhesive strip to the sneaker, add hook & loop shoes to your circuit, lace up the light wire and start dancing. 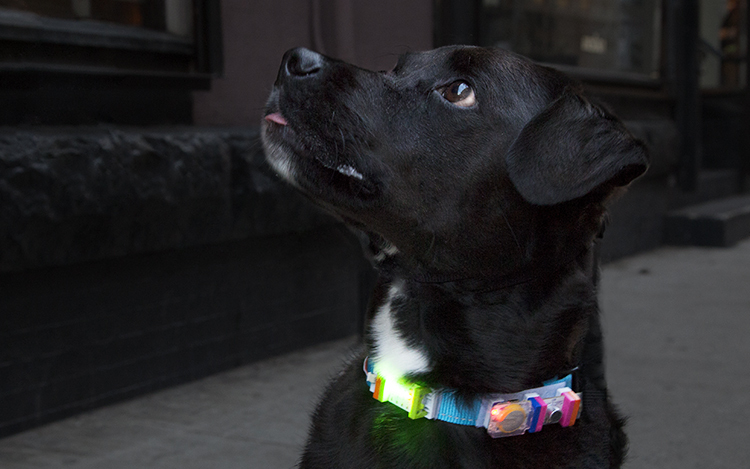 Make a light-up dog collar! 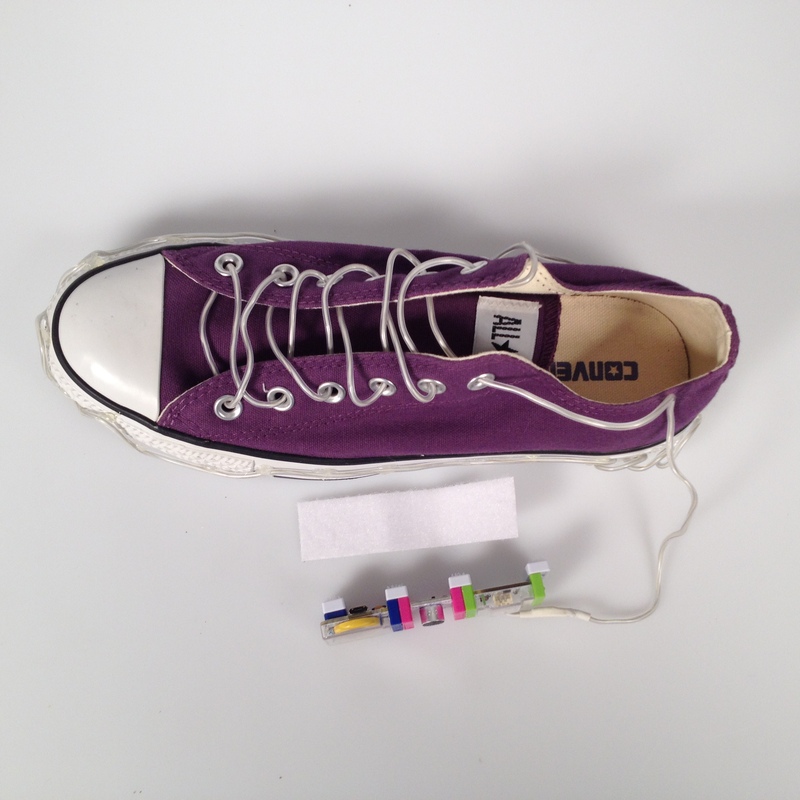 Design your circuit (we used a power module, a sound trigger, wires, and bargraphs) and lock it together with hook & loop shoes. 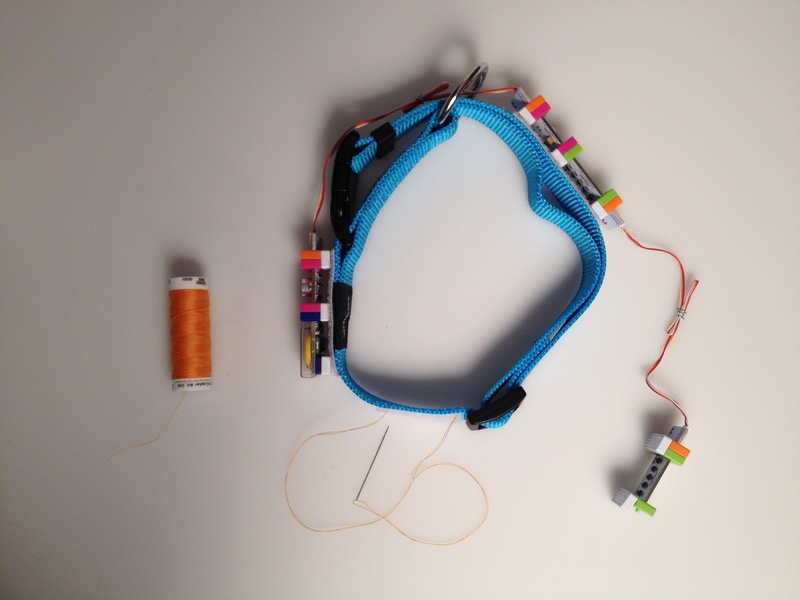 Sew parts sections of a velcro strip to the collar, position the circuit, and watch the collar light up when your dog barks. 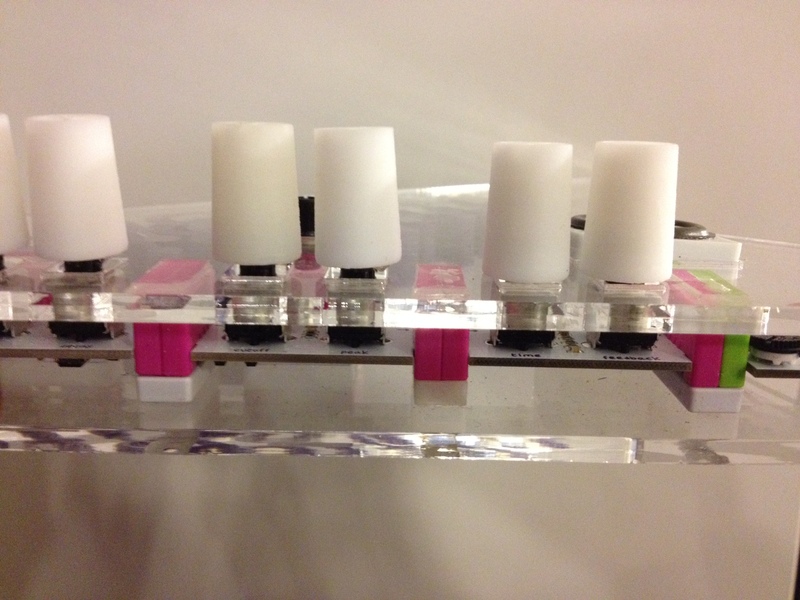 Using adhesive shoes, secure your synth circuit to any material and make an instrument. We made a Keytar! 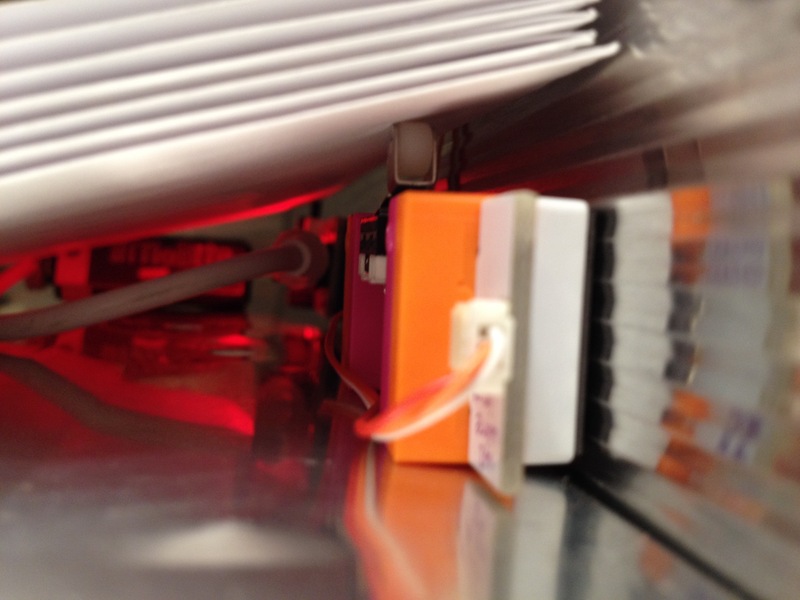 The adhesive on the shoes sticks nicely to the acrylic surface of our keytar and holds the modules snugly in place.